the mechanical smoke extract in order to keep escape routes free from smoke. Air conditioning system solutions for the entire complex. 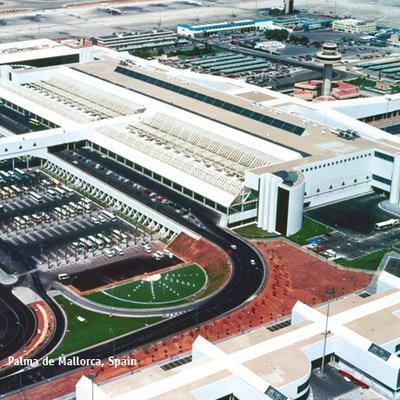 As a system supplier, TROX offers the broadest spectrum of ventilation and air conditioning components, from air handling units, fire dampers and tunnel dampers to air terminal devices and air-water systems, and to control components and systems, providing specialist consultants with a multitude of options for complete airport solutions. Today, and in fact more than ever before, the focal point of air conditioning system design is energy efficiency. TROX has long been committed to the development of adaptable high-efficiency system solutions that help not only to save resources but also to reduce operating costs. The highest safety standards due to innovative fire protection and smoke extract technology. TROX has always provided important input to innovative solutions and been at the forefront of developing and enhancing fire and smoke protection as well as control systems, which are immensely important particularly at airports. Fire tests to determine the fire protection classification of building products for ventilation and air conditioning systems in accordance with national and international standards are regularly carried out in the TROX International Center for Fire Protection (ICB), which is the most modern of its kind. Brochure "Perfect climate for travelling"
Whatever your destination, chances are that TROX is already there. In many airports around the world, TROX products ensure well-being and safety for staff and passengers alike: with German engineering at its best! TROX components and systems are installed at airports on all five continents. 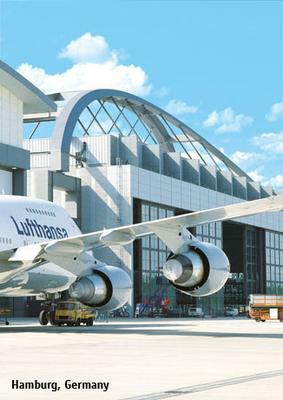 Whether international transport hubs such as New York JFK, Frankfurt, Singapore or Dubai, or domestic airports in other countries such as Australia, Ireland, Poland, Switzerland, Hungary, Austria, Greece or Brazil: Ventilation and air conditioning components and, even more importantly, innovative and proven fire protection and smoke control technology from TROX can be found at numerous airports all over the world. 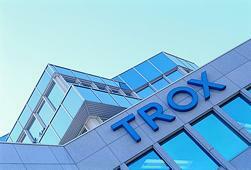 TROX has also developed individual solutions. The jet nozzles at Madrid Barajas, for example, blend in perfectly with the terminal's characteristic architecture by star architects Rogers and Estudio Lamela. This application brochure is dedicated to the most critical ventilation and air conditioning issues that airports face these days. The main focus is on airport terminal ventilation, control, and fire and smoke protection. The requirements on air in the office buildings, restaurants, and shops at an airport are no different from those of other buildings where people go for work or leisure. Frankfurt/Main, Germany Integration: TROX jet nozzles in the check-in area blend in nicely with the architecture. The load requirements in an airport terminal vary. As a consequence, flexible air conditioning is in demand, creating a complex challenge for designers and specialist consultants. Most terminal buildings are unusually high and comprise diverse functional areas as well as stationary workplaces to which the comfort criteria for workplaces as stipulated in regulations and directives apply. It is therefore possible to create a so-called micro climate in the area where the ground staff works – a micro climate with its own air supply and individual heating or cooling systems.